It is essential to know how to keep safe while using online resources. Please see the attached simple advice about chatting online and sharing information online. 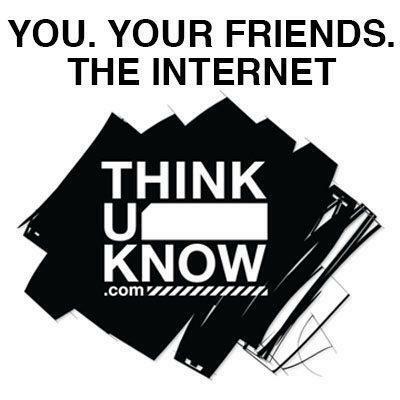 The link below will take you to the Thinkuknow site where there is further very useful advice. Year 6 need to master essential key facts to support their learning. Please find below a copy of the fact sheet. Learn these facts over and over. Ask adults to test you so that you can repeat the facts quicker and quicker each time. Good Luck! Our learning this spring term is based on Multimedia. Year 6 will use Microsoft Powerpoint to create a multimedia presentation considering elements of design to suit the purpose of their presentation. We will explore the use of text, audio and video and combine appropriate transitions and links to complete a project in collaboration with another student. Our learning this term is based on the music with a theme of happiness. This week we heard a song written and performed by Parrell Williams called Happy. Rhythm Trainer Can you identify the rhythm patterns? You will need to run Flash to make this work. Dance Mat Typing Learn to type the easy way at home.